The BorgWarner EFR turbochargers have been hyped up pretty good for the past 2 to 3 years. Results never really poured in, as there were casting problems, and many production delays. Furthermore not to many people wanted to risk trying out some of the most expensive turbochargers that money can buy. Most turbo systems could not simply accommodate the unit as a direct swap anyhow, especially the IWG units that measure roughly 6″ inches longer! We’ve all read about the WTAC and how most of the winners used EFR models, and how over half the top finishers in the Sebring 12 hour used EFR models too. These results don’t really tell you what if anything these turbos will do for you. Furthermore no one has really seen any data for the rotary engines, until now. Recently the guys at ForceFed Racing did a direct turbo swap with zero other changes on one of their mechanic’s cars. The results were amazing! 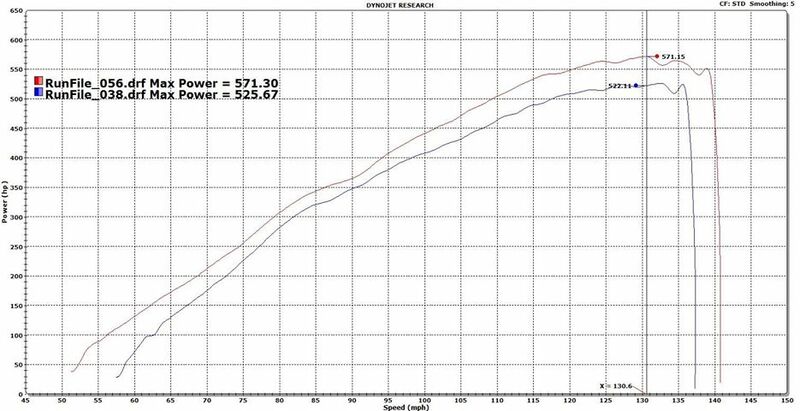 Swapping from a standard Airwerks S366 T4 .91 to a EFR 9180 resulted in a boost threshold that was reached 900rpms faster, and almost a 50rwhp gain! Recently Turblown Engineering‘s new FD3S EFR IWG turbo system was put to to the test. The owner, Jacob Cartmill, previously had a Precision 6262 turbo system, including Turblown’s standard FD3S twinscroll turbo manifold, and a 3″ downpipe with dual rerouted Tial MVS wastegates. This system put down a conservative 340rwhp @ 12psi on a medium streetport with a Vmount on pump gas. The turbo didn’t make full boost til a tick past 4600rpms on a dyno dynamics dyno. Now fast forward to EFR. The only changes to the car were the installation of the EFR IWG 8374, and shorter turbo manifold. 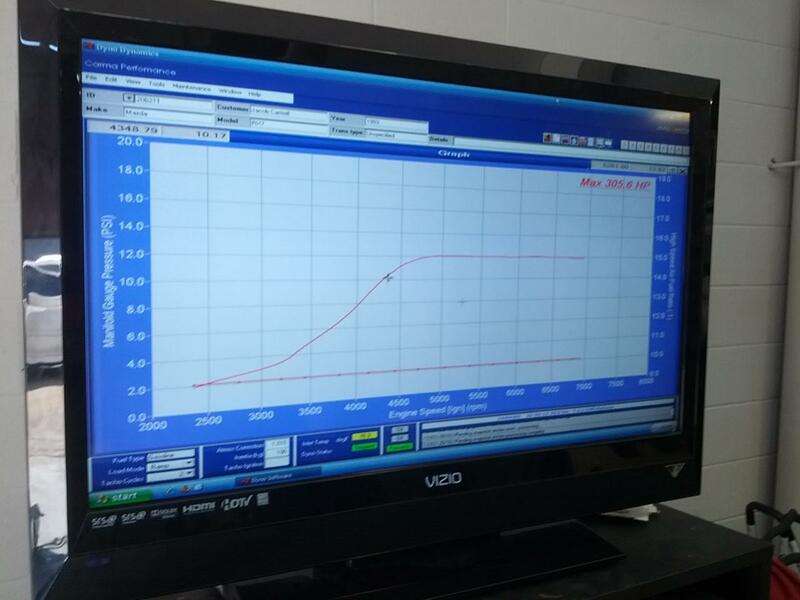 The same boost pressure of 12psi, same dyno brand, same tuner, etc were used. Note there was no difference in peak HP( both use billet compressor wheels of roughly the same size and similar design; 62/82mm on the PTE, and 62/83 on the BW). However if you look at the power under the curve and boost response you can see there is a huge difference. The BW hits full boost roughly 1500rpms faster! As you can see this also translates into a much wider powerband. The PTE system made roughly 140 ft lbs of torque at 3000rpms, while the BW system made roughly 240ft lbs! Now to be fair there are some differences between the two; the PTE system uses a journal bearing system, and the EFR is ball bearing. However the EFR’s turbine wheel is substantially larger, which would more than negate the chra difference in our experience. 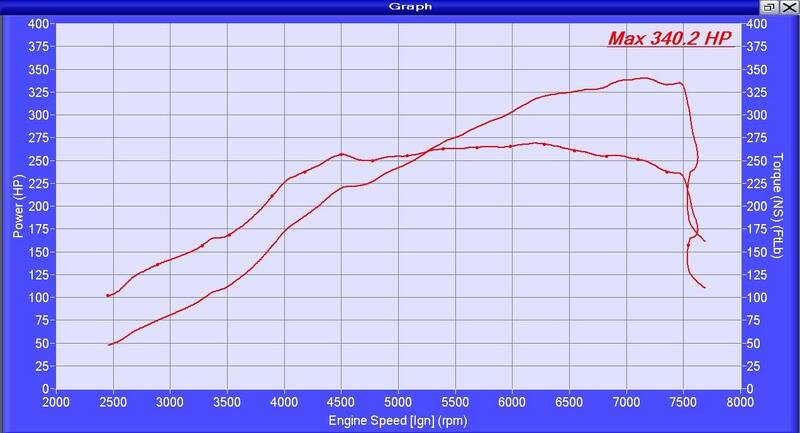 Furthermore you can rarely see the difference in CHRA design doing 4th gear dyno pulls. 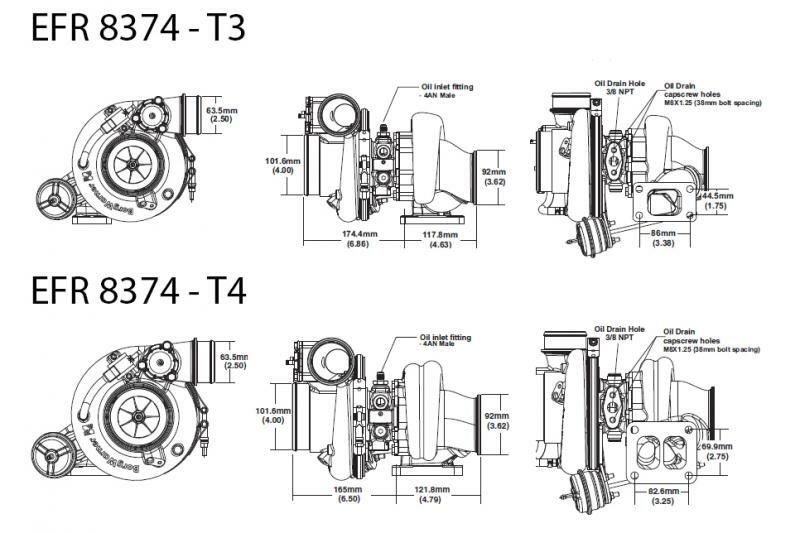 The PTE uses a 62mm turbine wheel( .84 housing) and a BW uses a 65mm turbine wheel in a ( .92 housing). Again the BW has a larger a/r which would also hurt “spool”. Generally you see a 150 rpm difference( assuming same turbine wheel, no other changes) between a .84 and 1.0 for example on a 2 rotor 13B. The EFR also has a slighter larger compressor exducer & compressor housing, which should result in slightly slower spool too. As mentioned the manifold length difference is probably playing a role too, the new ” shorty” turblown IWG manifold is roughly 1/3 the runner length. However you will NOT see a 1500rpm difference in boost threshold, unless you were doing a remote mount turbo system( think 80+ inch difference in manifold length). Ric from RicShaw Racing swapped a 8374 EFR 1.05 T4 external turbo onto his previously TO4Z powered endurance Rx-7 and saw a huge gain in boost response too. Nothing changed, but the turbo. However these results compare a 66mm compressor inducer(To4Z) to 61mm compressor inducer(EFR) . One should see a big drop( usually 100 rpms per 1 mm on the compressor inducer). Both turbos are ball bearing. Stay tuned as 3 more cars are scheduled to dyno at Turblown Engineering, including multiple combinations ranging from 22 to 30psi. The other two models that will work well on rotary engine; 7670 and 9180 will be tested too!